There are many spectacular walks in the area, with recognised trails of various lengths that will take your through countryside, villages, culture and history. Please note, however, that the weather can change very quickly indeed – please make sure that you take the correct equipment, maps and some warm and waterproof clothing. One easy walk is along the Northern Viaducts Road – accessible to wheelchairs and buggies – which follows over a mile of the former Stainmore Railway, with some dramatic viaducts along the way. The Poetry Path is another fun walk. It starts at Stenkrith, where you walk over the Millennium bridge across the gorge where the swift current has eroded potholes and steep formations into the stone lining the river’s bed. Twelve large stones inscribed with poems reflecting a year in the life of a hill farmer have been installed along this route. Another idyllic walk, which is good with children, begins at Little Salkeld and takes you through Lacy’s Caves, carved out of soft red stone above the Eden River. This walk also goes past Long Meg and her daughters, the second largest stone circle in the country, thought to date back as far as 1500 BC. Hooksey and Randygill Top are worth a steep climb at the beginning; once you have reached the summit the far-ranging views make you feel as if you are on top of the world. Equally impressive in terms of sights is the trail up to Nine Standards Rigg. Nobody quite knows why the stone cairns at the top were built, though many theories abound. At the summit of Nine Standards Rigg is a trig point that marks the watershed divide across England. From this point, rivers flow west toward the Irish Sea and east toward the North Sea. High Cup Nick: Only one of our family has enjoyed this walk so far and he keeps on threatening to drag us up the 519-metre ascent, but we are waiting for summer weather and more motivation. High Cup Nick is a U-shaped glaciated valley and has spectacular crags and views (so I’m told). 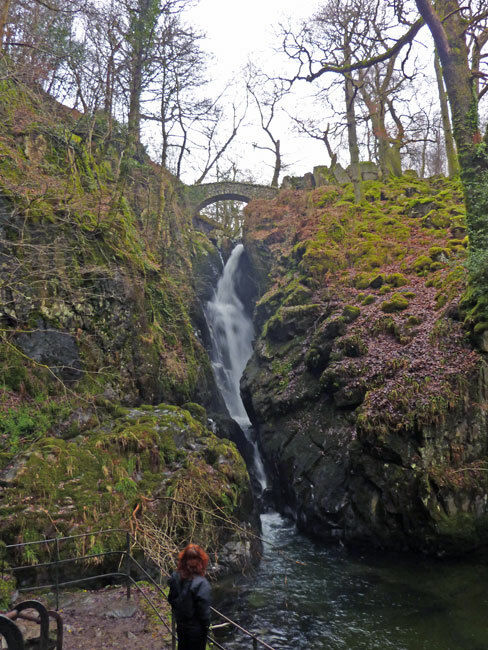 This area is also blessed with numerous waterfalls, including the spontaneous ghylls that pour off the fells after rainfall or snowmelt, as well as waterfalls which attract tourists from around the world. Cautley Spout is England’s highest waterfall above ground, tumbling 198 metres through a series of falls. 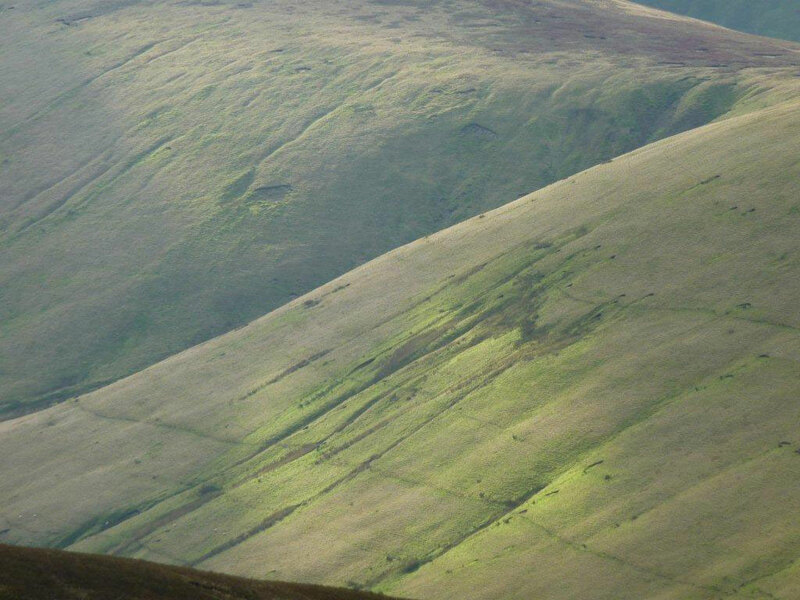 Cautley Iron Age Settlement, at the foot of Cautley Spout, consists of scattered stones and earthwork remains. It is quite humbling to think of the extreme living conditions that must have prevailed in these times. There is a stone-edged track which leads from the settlement to the foot of the falls. Aira Force (the word ‘force’ derives from the old Norse ‘fors’) is near Ullswater and crashes down 20 metres of rocky ravine. This is a good place for a walk and you will also find another wishing tree, where countless people have hammered coins into a fallen tree trunk. 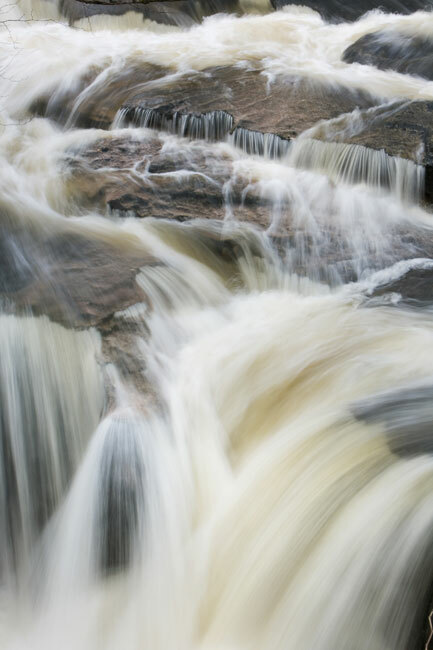 High Force waterfall is located at Forest-in-Teesdale, County Durham, and makes a pleasant day excursion.